Were the Victorians sustainable? During Queen Victoria’s sixty-four-year reign, England annexed one quarter of the planet’s continental and oceanic crust, dispersing global infrastructures of industrialization that tamed and exploited the natural environment. This nineteenth-century nature/culture cleft was first described in Thomas Carlyle’s “Signs of the Times” (1829) that catalogued the ways in which the “Mechanical Age” would make rent England’s ecological spaces. The function of environmental literary criticism is to critically parse the ways in which cultural imaginaries render ecological environments. While recent critical interpretations have denoted the nineteenth-century as the incubus of a bleak and grey ecology, this project explores more liminal modes by showing how authors in the literary locus of the Victorian Anthropocene anticipated the emergence of a threshold figure I dub the sustainable Victorian. By foregrounding the Victorian enmeshment of urbanization and environmentalism – what Charles Dickens described in Hard Times as England’s “wilderness of smoke and brick” – the study explores a diverse social collective of sustainable Victorian authors who used literature to authorize an emerging sense of moral duty to protect the environment. The analysis considers how the cultural products of British nineteenth-century prose, poetry, and novels registered a spectrum of sustainability concerns including mass extinction, environmental depletion, and proto-environmentalism over the century’s durée. The study’s conclusion indicates that sustainable Victorians existed on a spectrum and were concerned about their polluting present, but more fearful for the future; the study’s results make visible how some authors engendered a forceful and positive impact on environmental ecologies through civil discourse, while others covertly channeled their cultural transmissions of concern through the poetic screens of science. This dissertation’s focus on the liminal spaces in nineteenth-century ecological thought shows how literature can upend the human force of geologic change to itself become an ecological agent in promoting what George Eliot described as a Victorian “kinship” with the earth. Fewer isten, "Is the Gaze Human?" Sophie Christman Lavin, Society for Cinema and Media Studies Atlanta Conference, March 2016. Christman Lavin, Sophie. “Bustin’ Bonaparte: A Post-Apartheid Adaptation of Olive Schreiner’s The Story of an African Farm,” Adaptation, April, 2016. DOI: 10.1093/adaptation/apw023. 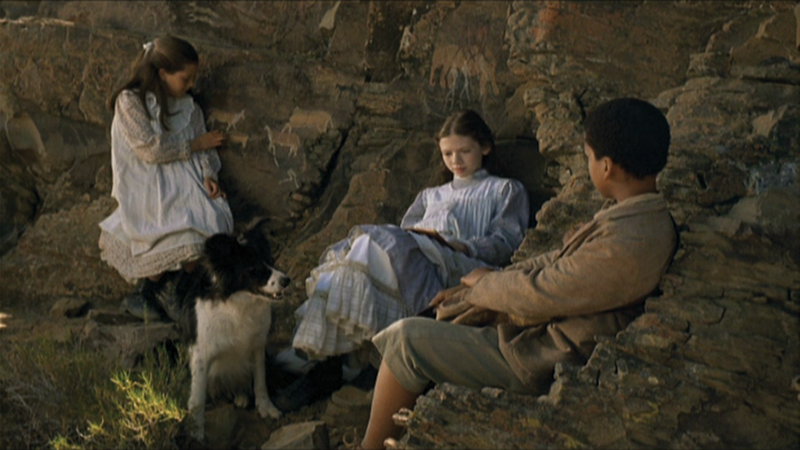 Abstract: This article examines how the South African film Bustin’ Bonaparte (2004) presents a post-apartheid adaptation of Victorian colonialism in Olive Schreiner’s 1883 English novel The Story of an African Farm. While both narratives utilize the surprising mode of play to unfold competing racial and gender hierarchies in colonial Africa, Lister’s comedic film radically revises Schreiner’s tragic novel to witness the hopeful post-apartheid nationalism of Africa’s children. "Ecocriticism, and Citizenship: Thinking and Acting in the Local and Global Commons"
Sophie Christman Lavin. Review of American Studies, Ecocriticism, and Citizenship: Thinking and Acting in the Local and Global Commons, edited by Joni Adamson and Kimberly N. Ruffin. With a Foreward by Philip J. Deloria. Interdisciplinary Studies in Literature and the Environment, Autumn 2015, pp. 907-909. "Green Speculations: Science Fiction and Transformative Environmentalism"
Sophie Christman Lavin. Review of Green Speculations: Science Fiction and Transformative Environmentalism, by Eric C. Otto. The Journal of Ecocriticism, July 2012. Founded in 2013, the SUNY, Stony Brook University committee was created to prompt critical inquiry related to the environment through the New Environmentalisms’ faculty seminar, public lectures, and special events. The committee is comprised of scholars and graduate students working in the fields of environmental and film criticism, scientists, social scientists, and artists. As a member of the executive committee Sophie has developed lecture series such as "The Nature of Ecocentrism" and "Climate Justice" with speakers including Greta Gaard, Michael Klare, Jesse Oak Taylor, and Tonya Lewis. "Witnessing Climate Change: A Documentation Project"
Sophie Christman Lavin is Co-principal Investigator for “Witnessing Climate Change: A Documentation Project”. This interdisciplinary Humanities for the Environment FAHSS-funded project, is in partnership with Departments of English, Sustainability, Humanities Institute, Southampton Campus, and Community Collaborators. The overall project goal is to help prompt climate change adaptation by increasing the visibility, impact, and documentation of anthropogenic climate change—in literary and film analyses, the performing arts, and public film screenings. Witnessing Climate Change theorizes how the act of witnessing impacts future infrastructural and individual decision-making, as these choices relate to urgent environmental issues. This multi-scalar project creates witnesses to climate change in distinct ways: through theoretical analysis of “climate fiction” texts, by hosting public climate change lectures and ecocinema film screenings. While the project investigates the range of traumatic and even apocalyptic approaches to climate change in literature, film, and art, it balances these difficult discourses with a determined focus on community resilience, and on narratives that offer robust ways forward from the current crisis.